Survival horror meets customer service sim, is it more Crazy Train or Thomas the Tank Engine? Think you could keep your cool and take your train to the end of the line, keeping your passengers happy in the process, all during the end of days? Well you can now find out in The Final Station. Out Now on Nintendo Switch, exclusively available digitally from the eShop, Will you buy a ticket to ride? When the world ends I hope it’s in a flash of blinding light rather than the slow decay of civilization through some kind of highly infectious pandemic. The whole idea of quarantines, curfews, borders and the cluelessness that would become a by-product of such a crisis would cause many, myself included, to simply huddle into a ball and wait for the inevitable. I’m sure there would be some that would press on, trying to maintain some level of normality to their lives, throwing on their suit and tie and continuing life as if the end wasn’t just around the corner. Our train driver in The Final Station is one such workaholic. 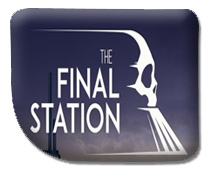 The Final Station is the flagship title of the Russian developer Do My Best Games. 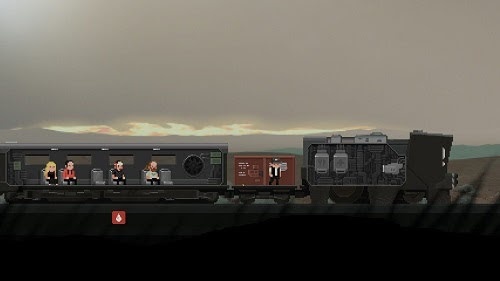 As an unusual mix of 2D survival horror and train hospitality management, the game see’s you witness the of ending of humanity as a strange virus infects the land and tasks you with ferrying passengers and cargo around the country as you inadvertently uncover the secrets behind the mysterious outbreak and the role you are destined to play in it. 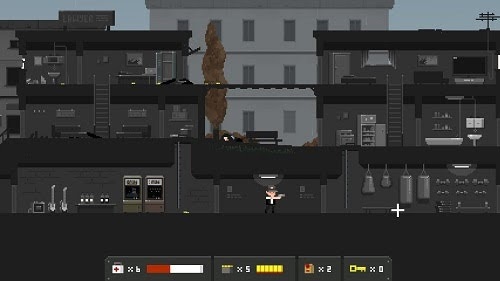 The title is a 2d Side Scrolling with well-drawn, simplistic, pixel art. Gameplay is split into two distinct phases; the main phase sees your train becoming locked at the railway station of the current town on your journey, requiring an access code to proceed. This leaves you investigating the derelict towns in search of the access code while also scavenging for ammunition, food, medical supplies and crafting materials, fending off a range of infected that you encounter. As you progress you will encounter survivors who will join your train as passengers, staying with you until you reach the next safe town. Any undiscovered rooms are blacked out until you open a door and have a direct line of sight, adding an element of tension to your search as you are never aware of what is waiting for you in each room before you enter. 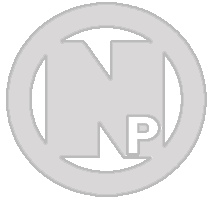 Animations, while keeping with the art style are occasionally off-putting with no proper animation for climbing up ladders. This sadly opens up the ability to cheat combat by attacking while in the middle of a ladder, just out of reach of the enemies above you, which, due to the shortage of ammunition in the game, you’ll probably find yourself doing more often than not. Once you have found the access code and returned to your train, the second phase puts you in charge of taking care of your passengers and cargos as you travel across the country watching humanity slowly crumble around you. Each of your passengers will have two stats, health, and hunger, with the latter slowly ticking away as you make your way between stations. When a passenger’s hunger stat is depleted, or if a passenger is injured, the health statistic will also drop continuously until they simply fade out of existence. Your train cargos must also be constantly managed as allowing your suspension to become unbalanced or your cooling system to malfunction will also adversely affect all of the passengers who are riding on your train. 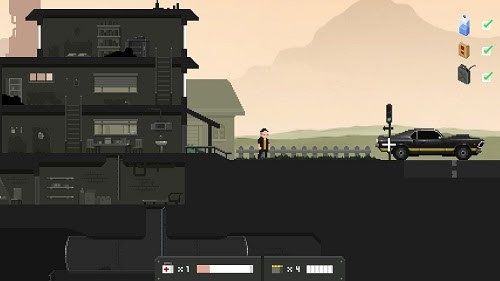 Resources are extremely limited and while it is possible to craft health packs and ammunition while on the train, food is so scarce that exploring the entirety of each town is imperative to ensure you have just about enough food for all of your passengers to make it through their multi-stop journey. If you manage to keep your passengers alive between each hub town you are rewarded with upgrades and money to restock supplies before heading out on your train to start the whole process again. This whole phase becomes an exercise of spinning plates and annoyingly detracts from the ongoing narrative taking place between the passengers on the train. While it is certainly a change of pace and an interesting contrast from the lonesome one-man experience of traversing barren towns, it’s sadly simply too busy for such a narrative-heavy section and leaves the whole experience feeling incomplete. The Nintendo Switch version also includes the DLC “The Only Traitor”, stripping down the elements that made the base game cumbersome, streamlining the whole process and improving on every element of the original. The content, while similar, Places more focus on melee attacks, with your hand to hand abilities packing much more of a punch, causing you to rely a lot less on scarcely available ammunition and the creative ways you may have cheated the game's combat in the past. Each exploration section tasks you with locating petrol for your car, water, and food, allowing you to progress once you have collected all three. 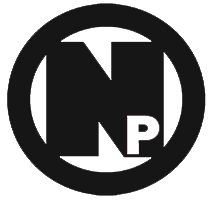 You will still encounter survivors but are only able to take one with you at any time, with each possessing various levels of adeptness in healing, crafting or simply fleshing out the storyline. Much like the base game, the DLC also features a secondary phase in between levels, this time you and your lone passenger are driving across country. In this phase, you are free to craft items or talk to your passenger. This simply continues to build up the story and lasts until you decide to move on to the next level. The narrative is as equally interesting in The Only Traitor, though having more impact than the original story simply because you get more of an opportunity to take it all in. In Conclusion, The Final Station is an interesting title let down by its often confusing story and occasionally awkward animations. Its short mission structure and pick up and play nature makes it perfectly suited for the Nintendo Switch’s portable capabilities. The slower pace exploration contrasting the hectic train phases may not be for everyone but the Final Station certainly knows what kind of game it wants to be, and it owns that space well. FOR THE WIN OR FOR THE BIN? + Lengthy and challenging campaign. 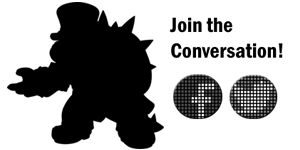 + Well drawn pixel art. - Combat is too easy to expoit. - Train managment detracts frm the story.